A prestigious hockey tournament that since 1997 was held solely in the Czech Republic and Slovakia is now poised to become a hit in Alberta. The Ivan Hlinka Memorial tournament will take on a new title — the Hlinka Gretzky Cup — every second year starting Monday, but the quality of talent on display will remain the same. “I think it goes back to (CEO of Oilers Entertainment Group and former Hockey Canada boss) Bob Nicholson being on the IIHF (International Ice Hockey Federation) board and the initial discussions there,” Al Coates, the executive director of the Hlinka Gretzky Cup, said Thursday of this year’s event moving to Red Deer and Edmonton. “Obviously Hockey Canada has a history of doing a lot a lot of events and doing them really well. So I think to expand the reach of the Ivan Hlinka Memorial Trophy and Wayne adding his name to it here, it’s just made for a really good opportunity to make this more international in flavour. 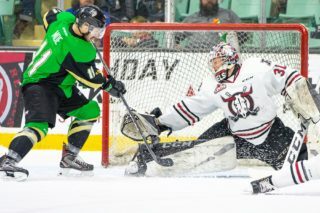 The tournament featuring the premier under-18 players in the world will also be staged in Red Deer and Edmonton in 2020 and 2022, and potentially beyond. 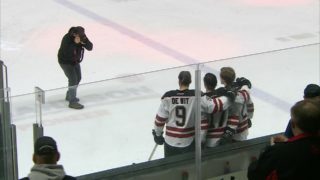 With the annual event being staged in Red Deer and the provincial capital this year, fans will be treated to a lofty calibre of hockey while watching future NHL stars. “Quite frankly, this is the fans’ opportunity to see the next generation of great players,” said Coates. “When you think that Crosby, Stamkos, Ovechkin and Ryan Nugent-Hopkins just up the road, etc. etc. . . . all these players played in this tournament at one time or another. And this past (NHL entry) draft in Dallas, 19 of the 31 first-round picks played in this tournament last year, and 18 players off the (2017) Canadian team were drafted. 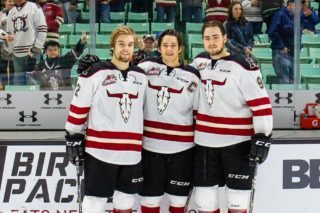 The 22-man Canadian roster features 11 Western Hockey League players, including forwards Dylan Cozens of the Lethbridge Hurricanes, Kirby Dach of the Saskatoon Blades and Peyton Krebs of the Kootenay Ice, and defencemen Bowen Byram of the Vancouver Giants and Matthew Robertson of the Edmonton Oil Kings. All are projected as first-round picks in the 2019 NHL entry draft. “Having watched just a couple of days of the Canadian team camp, man there’s some good players,” said Coates. 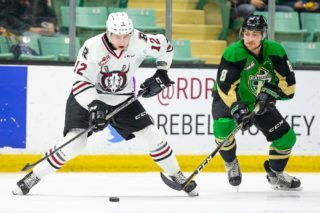 The Russian roster includes incoming Red Deer Rebels centre Oleg Zaytsev, another projected 2019 NHL entry draft first-round pick, while the always strong U.S. team will feature plenty of top talent despite the fact that Jack Hughes, the consensus No. 1 pick next year, won’t be available. Hughes is currently playing in the World Junior Showcase in Kamloops. 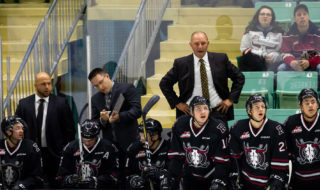 Coates is confident that fans will flock to pre-tournament games at various Central Alberta sites on Saturday and that attendance will be high in the preliminary contests Monday to Wednesday at the Red Deer Servus Arena. “Our main goal is to educate people on what this is all about,” said Coates. “I think we’re going to do real well here in Red Deer as well as in Penhold, Sylvan Lake and Lacombe for the pre-comp games Saturday. “Then in Edmonton, I think you’re going to see attendance start to grow Monday to Wednesday and then we’re expecting to do really well for the semis on Friday and the bronze and gold medal games on Saturday. The attendance at the tournament games will certainly include an impressive number of NHL scouts. Pre tournament games are set for 3 p.m. Saturday in Sylvan Lake (Slovakia vs. USA), Penhold (Sweden-Finland) and Lacombe (Switzerland-Russia), as well as 7 p.m. at the Servus Arena, where the Canadian and Czech teams will tangle. From there the Canadian, Swedish, Slovakian and Swiss teams will head to Edmonton to compete in Pool A and the American, Czech, Russian and Finnish squads will compete in Pool B at the Servus Arena. Russia and Finland will face off at 3 p.m. Monday, while the 7 p.m. contest will see the Czech Republic taking on the USA. The Czechs and Russians will do battle at 3 p.m. Tuesday, followed by the Finland-USA clash in the evening, and the 3 and 7 p.m. games Wednesday will have the Czechs playing the Finnish and the Americans taking on the Russians. The playoff games will go Friday and Saturday at Edmonton’s Rogers Place.